What goes into a signature fixture? 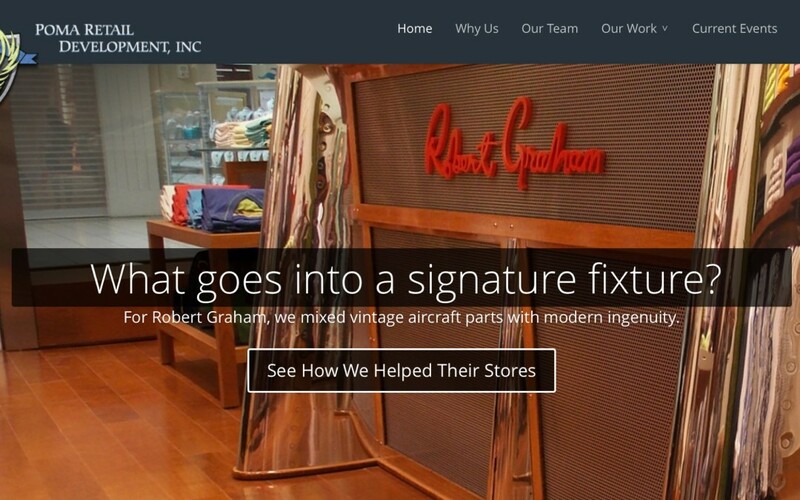 For Robert Graham, we mixed vintage aircraft parts with modern ingenuity. If it helps you deliver an authentic customer experience, we’re on it. A relationship that fits like your favorite pair of jeans. Two-year growth from 24 to 85+ stores. $75 million in budgets managed annually. People need coffee with their bagels. So we pulled off a 380-store after-hours remodel program to keep the registers ringing. Managing every aspect of the retail design and construction process. Along with our staff of project managers and administrators, our leadership team has a combined experience of more than 100 years in rolling out successful projects. To innovative non-traditional applications, we do it all, with a sharp focus on quality, cost-effectiveness and on-time implementation. No matter the size of your project, we can manage the entire design and construction process, freeing you up to focus on the growth of your business. Tony’s experience with major retail roll outs is unmatched. He oversees it from A to Z… everything from pre-construction to handover. He’s capable of doing any level of work. If I had to define what they are…..they are our building department. For someone like us looking to be in the top malls, street locations and outlet centers, Tony has done it all and knows all the major markets we work in. Now he’s built a staff around him that my operations team works well with. They’ve all trusted Poma Retail Development for value-driven retail development. How Can Poma Retail Development Help?